You're ALL Invited to our Friday Night weekly FREE EFT & Law of Attraction For Happiness, Prosperity, Abundance, & Financial Success Google+ Hangout! Click here to join the Google+ Hangout. How to participate in the Google Hangout! To participate, you will need a web camera with a microphone, and I recommend you use Google Chrome as your web browser to avoid any technical issues. If you have a Google Plus account, make sure to add (me) Tony-Guy Parker tgparker2010@gmail.com to your circle and/or email me with your email address so that I can add you on my end ahead of time. So how do you join? A few minutes before the Hangout goes live, I will post the private Hangout link on our social media pages: Google Plus event page, Facebook etc. Join us and Resolve, Heal, & Overcome your Sales & Business, Prosperity, Abundance, & Financial Issues, Challenges, & Obstacles with EFT (Emotional Healing Techniques) & The Law of Attraction! Bring your Sales & Business, Prosperity, Abundance, & Financial Issues, Challenges, & Obstacles , aches, & pains to this Free Google+ Hangout, and have them quickly and painlessly resolved and healed with EFT (Emotional Freedom Techniques) & The Law Of Attraction. EFT Healing Circles & Workshops are totally AWESOME over the phone. This Tele-Workshop will be OPEN to all who have a desire to HEAL, RESOLVE, & OVERCOME their issues, challenges, & problems! Your ONLY expense will be your long distance telephone rate to the tele-conference hub. If you have a good long distance plan or unlimited long distance or Skype, Voda-Phone, Magic Jack, or Inter Net Phone, etc.. then the call is literally for free. Considering the cost in time and money for commuting to and from a "face to face" workshop, tele-conference workshops are becoming more and more popular. This transformational workshop will combine EFT (Emotional Freedom Techniques) and the Law of Attraction to quickly and permanently resolve, remove, overcome, release, and heal emotional, psychological, and spiritual blocks, fears, issues, and challenges that stand in the way of achieving Sales & Business Success, Happiness, Prosperity, Abundance, & Financial Success & Freedom. EFT is an amazing energy healing technique based on 5,000 year old meridian based healing modalities like Acupuncture, Acupressure, & Shiatsu. 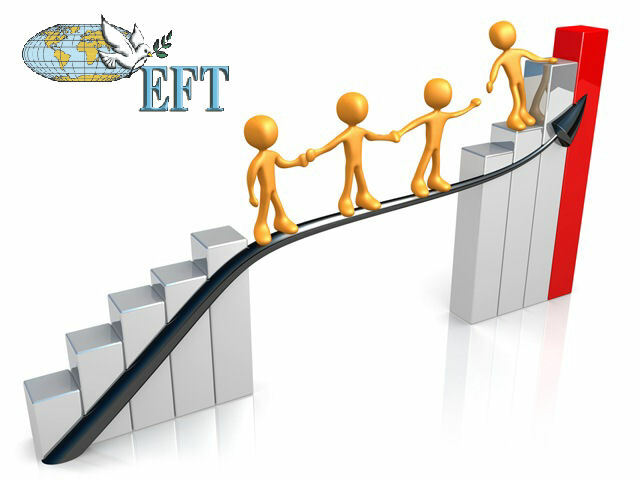 The EFT & LoA Financial Freedom & Success Workshops are hosted/facilitated by Tony Parker, EFT Practitioner since 1997. FREE EFT & Law of Attraction Google+ Hangout For Happiness, Prosperity, Abundance, & Financial Success!